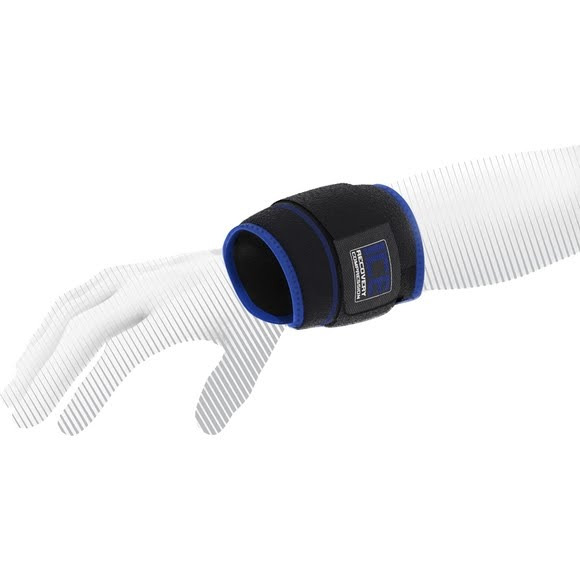 The small Ice Recovery Compression Wrap from Shock Doctor provides penetrating ice therapy for wrist, hand, shin, calf or neck injuries. This innovative utility wrap helps reduce swelling and pain by extracting heat from joints and muscles through gentle compression and deep 360 degree ice coverage. The small Ice Recovery Compression Wrap from Shock Doctor provides penetrating ice therapy for wrist, hand, shin, calf or neck injuries. This innovative utility wrap helps reduce swelling and pain by extracting heat from joints and muscles through gentle compression and deep 360 degree ice coverage. The universally designed wrap, removable and adjustable straps, and 1 gel ice pack ensure a proper fit, ideal compression, and complete ice coverage. This deep 360 degree ice coverage cools the injury faster and helps speed the body&apos;s natural ability to heel.